The idea of ligand efficiency as a metric for comparing new heterocyclic motifs has always intrigued me. Things get particularly interesting when heterocyles are combined with the elements of reversible covalent inhibition. 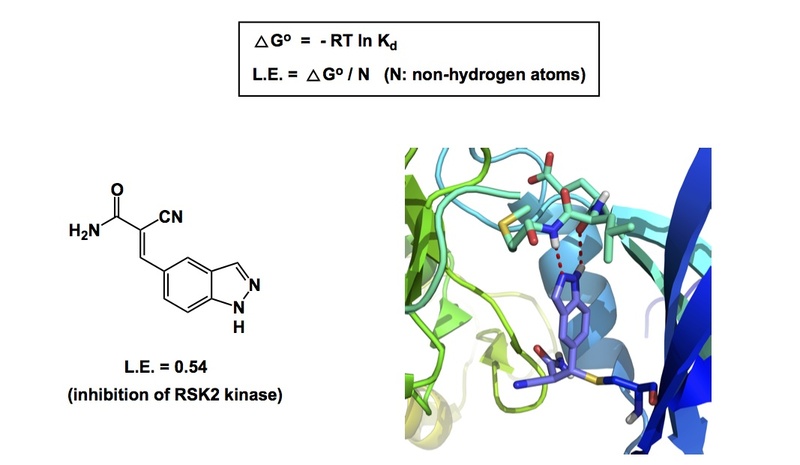 In his 2013 paper in JACS, Taunton and colleagues described a series of reversible covalent inhibitors of MSK/RSK-family kinases that contain noncatalytic cysteine residue close to the active site. In fact, C436 is found in only 11 of 518 human kinases (so there are reasons to go after this cysteine). The acrylamide fragments described in the Taunton paper were later used to develop potent kinase inhibitors, underscoring the fact that ligand efficiency of reversible covalent fragments was sufficient for further elaboration. Below you see a view I created using PyMol, showing how the indazole scaffold of the acrylamide inhibitor forms the expected hydrogen bond pattern with the hinge region. The authors point out that the indazole core does not extend beyond the gatekeeper T493. 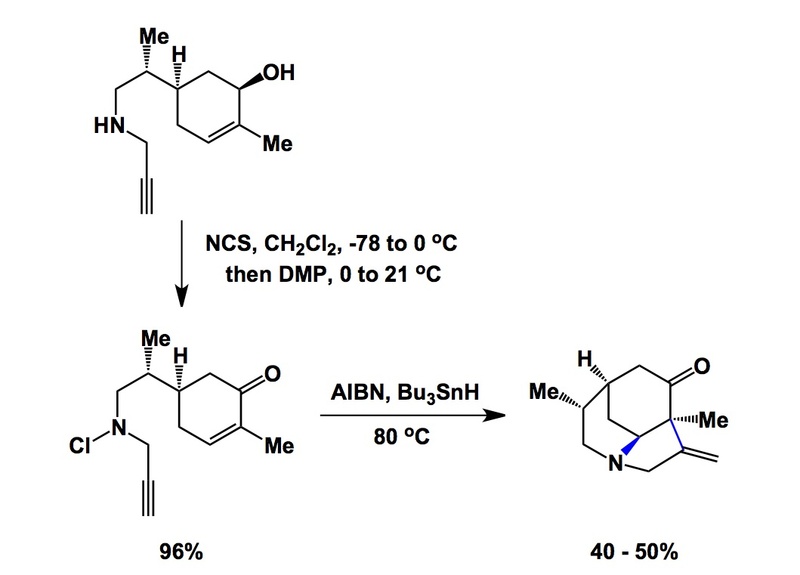 Interestingly, unfolding of the indazole fragment/RSK2 adduct with guanidinium-HCl resulted in quantitative recovery of the fragment, indicating that the covalent bond was formed reversibly. It will be interesting to see if good levels of kinetic discrimination can be achieved with reversible covalent inhibitors. From my point of view, one of the most interesting lessons offered by this study is that potency is not solely driven by the free energy of covalent bond formation.